Not much update for approvals in this new release so I just summarize the changes from 11.1.2. First step, define the Planning Unit Hierarchy. 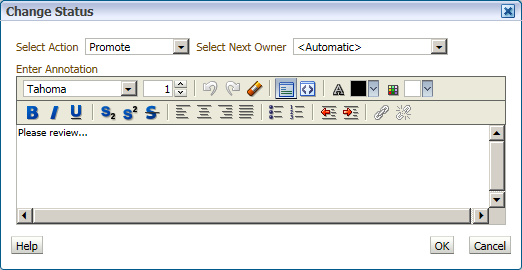 Input the Hierarchy Name, select type of Approvals (None, All or Custom), and then select the Approvals Template. And then review your Selections. 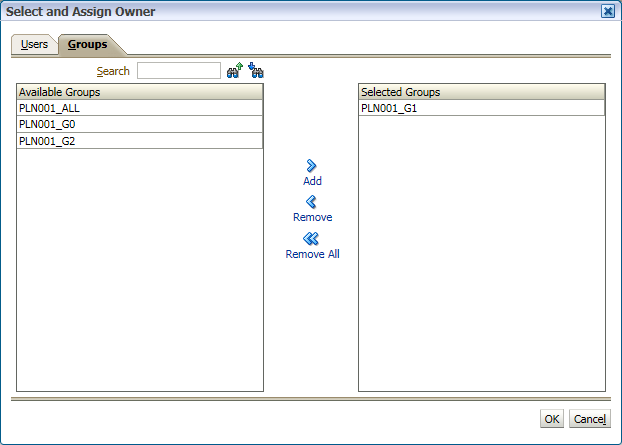 From release 11.1.2.2, Groups can be assigned as owner for approvals. Save your Planning Unit Hierarchy. Second step, assign the hierarchy to the Scenario and Versions. Add the Scenario and Versions combination here. And then, you can start the Plan Cycle. This view changed a little bit from 11.1.2.2, there're 4 kinds of view now. 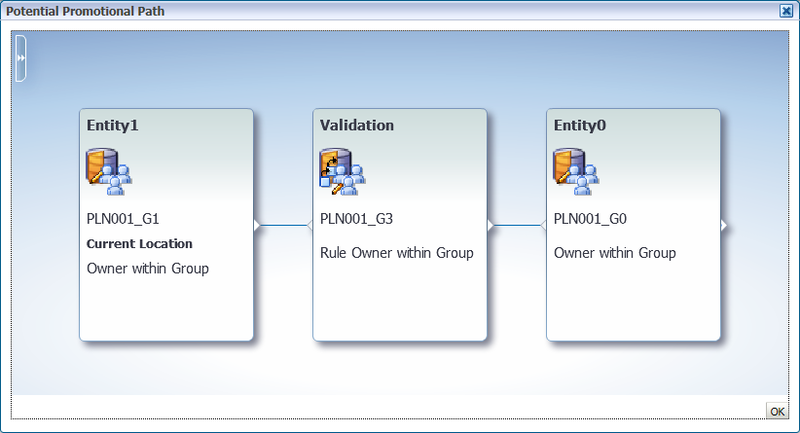 Process Status, Level status, Group Status and Tree View. We select the Tree View first. Then all the planners can start planning and deal with the workflow process now. Ada is in PLN001_G1 and she's login now. 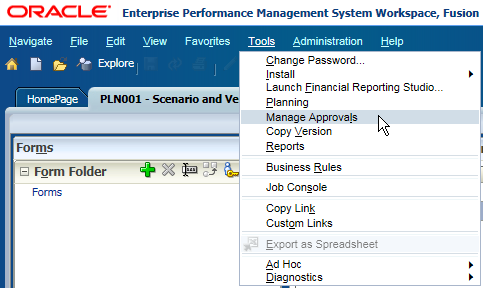 The default view of the Manage Approvals is Process Status. 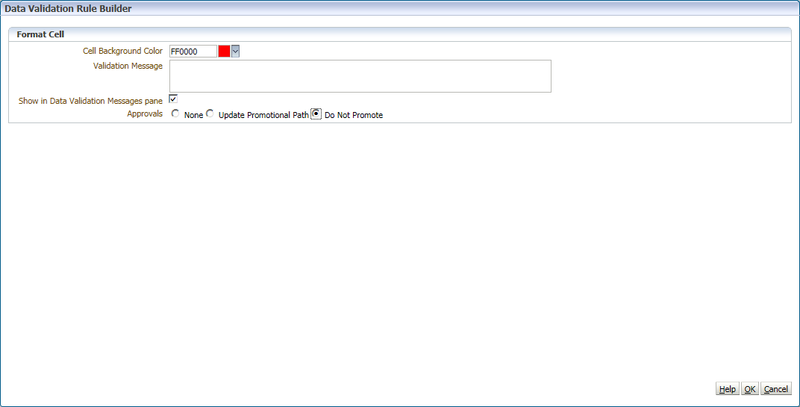 Click the Validate and shows "No additional Approval Required"
Select Promote <Automatic> and Enter Annotation. Then the Current Owner changed to the next reviewer. 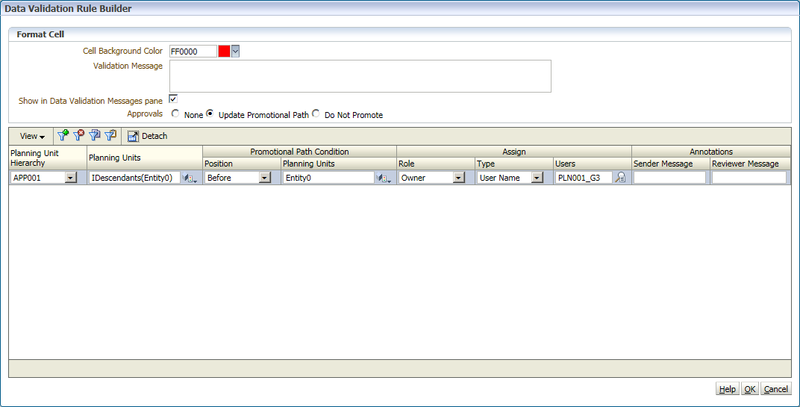 If there's validation rules in the forms, it may impact the promotion path. So if there's error in the form, when you validate the Entity, it shows "Invalid Data" and cannot promote now. Click on "Invalid Data", it will link you to a task list and tell you what's wrong with it. 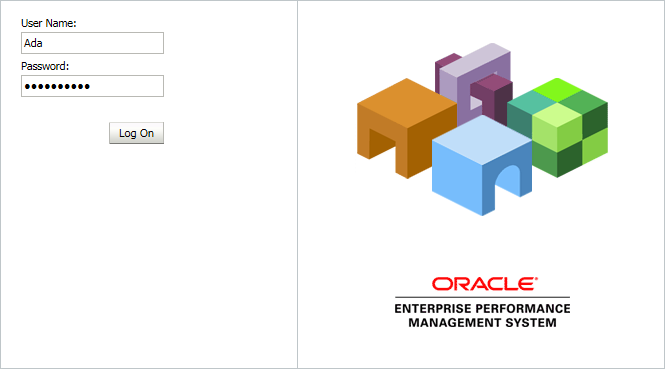 Click Action: Launch Tasklist Wizard, it will link you to the form with error. Fix it and then you can promote. 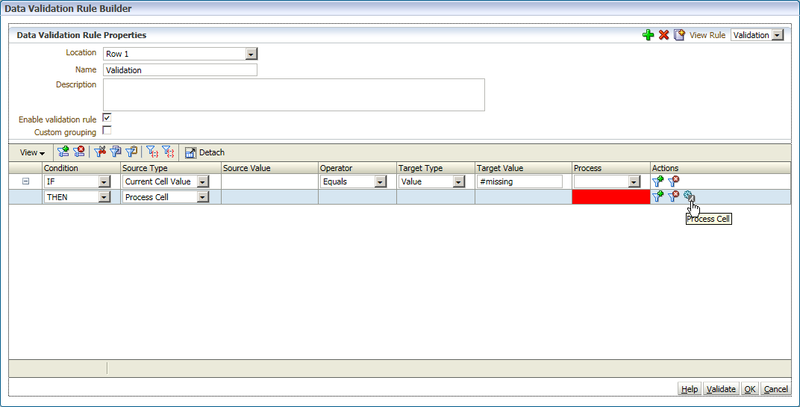 Validate the Entity, this time shows "Additional Approval Required"
I have a query regarding managing approvals. should i ask? What do u do in the next Fiscal/Budget year? Do you reopen approvals that has status "Approved"? Usually I will exclude the plan units and then start again, the status will be "Under Review" as the same of last budget cycle. 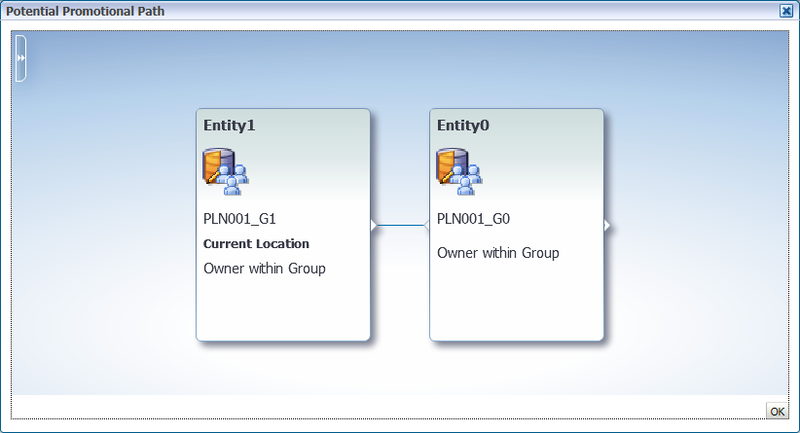 In this case when the plan unit is started again, user can then change the data of previous year. The last year's signed off data can be changed. Hi - i wonder if we can search entity by attribute rather than by entity name/alias under the tree view? If in the web page I think the answer will be no. But if you are using version 11.1.2.3 or later, you can try to install the Smart View extension for Planning Administrator and then you can maintain the dimension in Excel Smart View. In this case surely you can search attribute for entities. How would I assign one set of accounts to one user and another set of accounts to another user? For example, assume I have a single Entity with an account roll up of Revenue and Expenses. How can I assign Revenue to one user and Expenses to another user within that same entity and version? 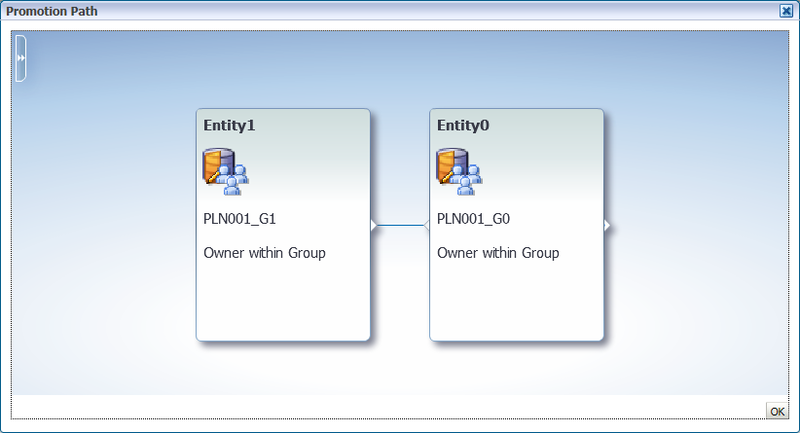 Yes I am using the secondary dimension to separate out my accounts, but I want to split an entity so that it has two owners. For example, one user would own the "Revenue" accounts and another user would own the "Expense" accounts. However there isn't an apparent way to do this, as I don't want both users to have access to all accounts and if I create a new Planning Unit Hierarchy it will not allow me to assign the same version as the first one. If I can accomplish having two owners for one entity for different accounts, that would solve my problem, I'm just not sure how to accomplish this. I don't quite understand your problem. The secondary dimension is used for split an entity to two owners. Please see above John's blog I mentioned before. Another idea is use security setting to handle this, "Revenue" write to one user and none to another, and set the opposite for "Expense". If I have multiple versions, say 10, and around 35 planning units, how can I see status of all Versions and Planning units in one place. I don't want to change version and see status of each planning unit. It can be even report. Can you help? Now I have a validation rule in whcih I state, if the cellvalue is eqaul to 10 then alter the hierarchy and instead of getting promoted to member2(reviewer1), directly get promoted to member3(reviewer2). That means I am asking to bypass the member in the promotional path if the value is equal to 10, otherwise follow the promotional path. Can you please help me on how can we do this auto delegation.